60 million lives were lost in WWII. 60. Million. 60 million futures extinguished. Infinite possibilities for all of those lives gone. 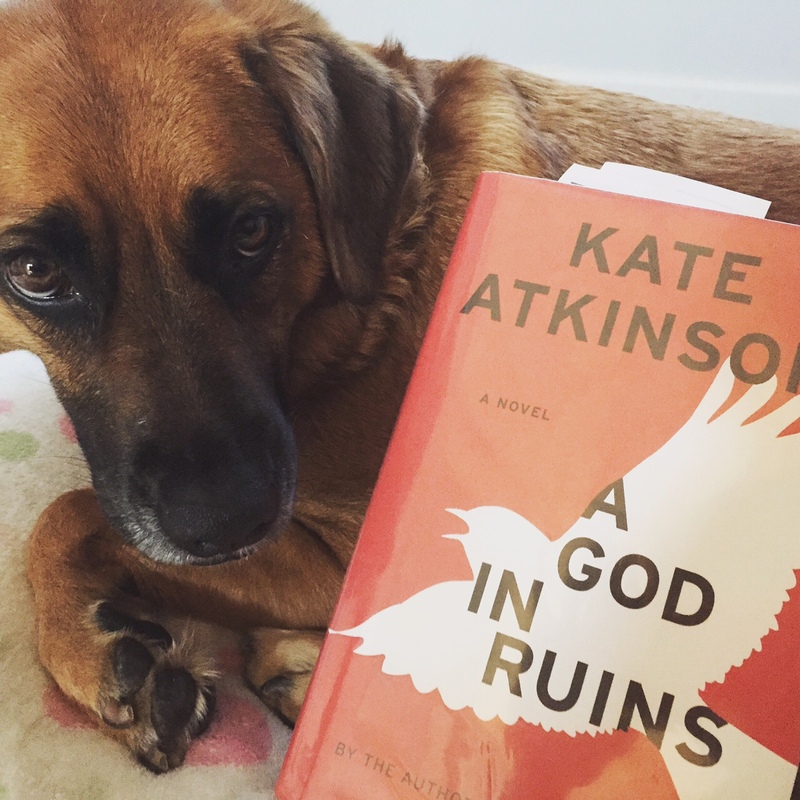 If you read Kate Atkinson’s Life after Life (which Atkinson describes as a companion piece to A God in Ruins), then you know that she can masterfully explore and play with the idea of infinite possibilities and the fragility of life. She revisits that idea, and the Todd family from “Life after Life,” in this novel in a unique and powerful way. The lovable, charming brother of Ursula from “Life after Life,” Teddy Todd, is the focus of this novel. I love Teddy for many reasons, but number one is that he always has a dog by his side. Teddy is a member of the Royal Air Force during WWII – the novel flashes back and forth across the decades before, during, and after WWII. Each chapter is a different puzzle piece that demonstrates the unpredictability and speed of a human life. More than anything, the exciting thing about this book is not what happens, it is HOW the story is told. WWII shapes Teddy’s life, as well as the lives of his future family members. It is the uncontrollable force that creates his future, as well as the futures of millions and millions of others. We are all at the mercy of circumstances beyond our control. The end. Wow, the end of “A God in Ruins”… It will leave your head spinning. Liz Gilbert is coming to San Diego for a talk! Can’t wait!